Kateryn Parr comes to court promising to marry King Henry VIII despite knowing the dangers. She's sixth in line and the deaths of the previous Queens makes her uneasy. Except Henry showers her with love, trusting her with his children and his Kingdom. She unites the family and joins in advising the King. Yet, as she pushes for religious reforms, Kateryn begins to gain enemies and soon her beliefs and actions grab Henry's suspicious attention. Those against her label her a heretic, but her concerns mount as it seems that Henry is beginning to plot a punishment against her. Will she be able to survive against a man who ordered the death of his own wives? Out of Henry VIII's six wives, I have rarely heard anything about his last wife Kateryn Par. That, coupled with Philippa Gregory releasing a new novel based in the Tudor era, grabbed my interest very quickly. I appreciate The Taming of the Queen for providing not only a story to the name Kateryn Par, but also an insight into the context of the time. A lot of the time it is quite obvious Gregory's novels are mostly fictionalised, but in this one most of the novel came across very believable and almost realistic. I was fascinated with the portrayal of Kateryn and her role as Queen and at one point Regent to the country. Gregory writes her as an intelligent and influential female, which is very empowering, especially during that period. I also loved that Gregory focused on the fact that Kateryn was able to translate and publish two prayer books, first as an anonymous and eventually under her own name. It is an inspiring act that really conveys how powerful women can be even in a patriarchal world. There's also a large aspect of religion in this novel. At this point King Henry VIII has split from Rome and the Catholic Church, and the debate between reverting to the old religious ways or striving for reformation crops up a lot. Gregory places Kateryn at the centre of this conflict, which gives her a role and first hand experience for the readers. However, I'm not too sure how historically accurate it is. The dispute is actually quite interesting and I kept reading on, even though I had always thought religion in a book would bore me. I think coming from a religious educated background it's intriguing to see the practices in Mass originate from the Tudor period. I did think there were some really dry and uninteresting moments, that I skimmed pretty easily. There was also a part I really did not like and absolutely did not believe would have happened in real life. I read it very uneasily and regretfully. It made sense when tied to Henry's personality, but at the same time I just couldn't stomach it. 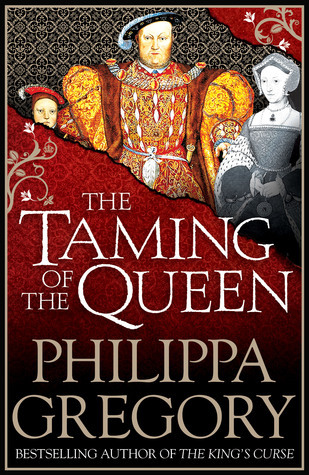 The Taming of the Queen definitely did not become my favourite read from Gregory but it was very well written, engaging and fascinating. I was intrigued enough to start my own research of Kateryn and I really liked her character in the novel. It's a thick but fast read, and if you're a fan of Gregory or history definitely give it a shot! "I believe that to be a free woman is to be both passionate and intelligent."